The Samsung SPC-300 is a Coaxial Remote Controller which allows you to control a single camera unit using a coaxial cable or RS-485. Camera control across long distances is possible using a maximum cable extension capability of up to 1640.4’ (500m). You can also control the camera externally via RS-232C or RS-485 interfaces. The Samsung SPC-300 has many exciting features for users of all types. 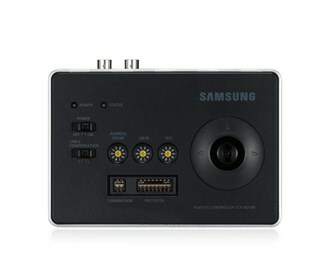 See the Samsung SPC-300 gallery images above for more product views. The Samsung SPC-300 is sold as a Brand New Unopened Item.